Love fishing?? Want to protect your expensive fishing poles? We have just the thing! Custom sublimated fishing rod covers. Unlimited colors, add your logo, sponsors logos and create a unique item to sell or use for teams. Tackle shops, marinas and more, this is a great item to sell online or cool swag to sell at tournaments. And a great way to advertise! 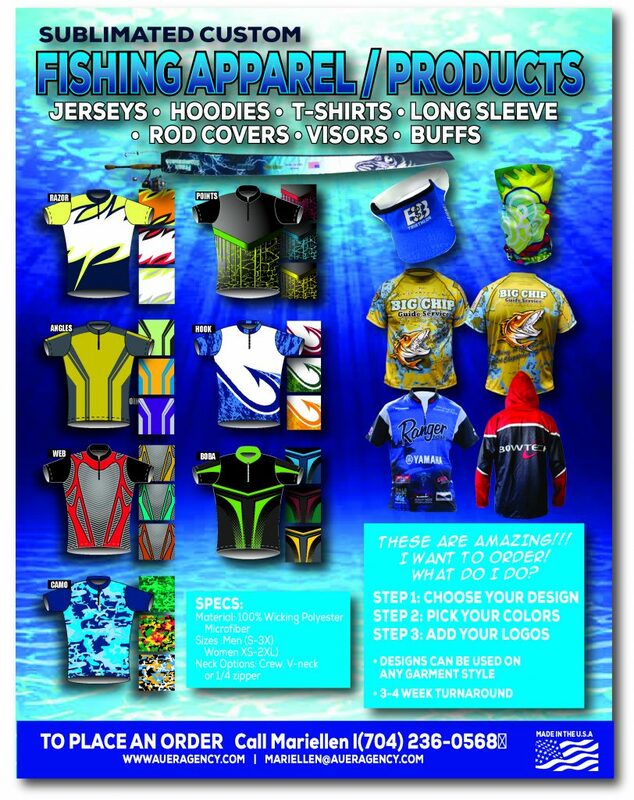 Check out the flyer below for other products like fishing jerseys, hoodies, buffs, visors and more!